Bastar today is witness to the most cynical mockery of constitutional values and civil liberties. Under cover of a war to ‘save Bastar from Maoism,’ or ‘make Bastar safe for democracy’, the Constitution is in fact being trampled to ‘make Bastar safe for corporations’ and ‘purify Bastar for the RSS.’ Every day, every week, there are horrific atrocities being unleashed on Bastar’s people – and the incidents outlined in this report should be seen, not as isolated aberrations but as the tip of the iceberg. Democracy is being hollowed out in Bastar. The All India People’s Forum (AIPF) team divided into two groups daily to cover greater ground. Even so, there was much that we could not investigate given the paucity of time; the sheer volume of incidents calling for investigation; and difficulties of arranging suitable transport. Several local intelligence men closely watched the team in Jagdalpur. Before we left Jagdalpur, one of them too our drivers aside, attempting to interrogate and intimidate them. The team was stopped, searched, photographed, and questioned interminably at police and CRPF check posts and camps, over and over again. On more than one occasion we were told that the number of our vehicle had been passed on to CRPF camps and police check posts in advance, and they had been asked to wait for us and question us. For instance, we were asked why it took us all day to reach Sukma from Jagdalpur and why we visited villages en route – the police at the check post at Sukma tried to intimidate our driver into revealing which villages we had visited and the names of villagers to whom we had spoken. It was clear from the tenor of the questions that anyone wishing to speak to villagers is seen as ‘suspect’ and discouraged by the police, security forces and administration. We wish to put on record our concern about the safety of those who spoke to us, especially given the fact that villagers who have spoken to other fact-finding teams have faced harassment and threats. We have changed names in some of the instances, to protect the identity of the individuals. 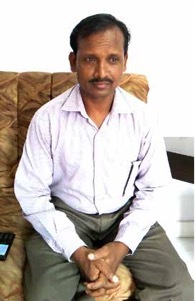 Raiot is extracting the chilling testimonies of persecuted Christians in Bastar from AIPF report BASTAR-WHERE THE CONSTITUTION STANDS SUSPENDED. The AIPF team heard testimonies of several Christians in the Bastar district that spoke of systematic attempts to persecute Christian minorities; foment communal division and violence in adivasi villages; bend pro-adivasi laws to communal ends; and allow Hindutva groups to dictate to the police and administration. In this sense, communal fascist outfits already hold sway in parts of Bastar and Chhattisgarh. The team also spoke to Son Singh Jhali, a lawyer who is handling many legal cases pertaining to persecuted Christians. It is evident from the testimonies that the role of the police and administration is extremely lax. On some occasions the police have openly sided with the Bajrang Dal, refusing to protect the Christians. On one occasion the police and administration even failed to turn up having convened a gathering of Hindus and Christians, and possibly informed the Bajrang Dal that they would not turn up, thus setting the scene for organized mob violence against the Christians. On the occasions where the district administration and police have intervened, it has not been to enforce the rule of law and uphold the Constitution and arrest the Bajrang Dal mischief makers; rather the ineffectual mode of ‘dispute resolution’ has been adopted. I laid the foundation for a prayer hall on my own land for which I have the papers. The panchayat orally refused to issue the No Objection Certificate for construction. I asked them to give me the order in writing. When they failed to do so for several days, I resumed construction. I cannot be allowed to construct a place of worship for Christians because “People of big-big castes and religions live in this village, and every Dussehra even the Roopshila Devi Ma joins the celebrations,” and that the panchayat has the right to demolish the prayer hall. The Hindu villagers and panchayat leaders have threatened to evict me from the village. On 25 May 2016, an elderly Christian lady Saradi Bai died, but Hindu villagers provoked by the Bajrang Dal stopped us from burying her. They said we could not be allowed to carry out Christian burial rituals, bury her in a casket or place a cross in her grave. Eventually, after negotiations conducted by the police, she was buried in a casket but without the cross. But the Hindu villagers warned that no Christian burial would be allowed in future. Accordingly, the 200 Christians of the village gave applications to the SDM, Tehsildar, police and Sarpanch asking that burial grounds be allotted separately for Christians, since they were being prevented from using the common burial grounds. The Sarpanch refused to accept the application, while the SDM and others are yet to respond. 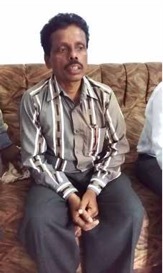 Saradi Bai’s husband Sukhdev Netam passed away on 6.6.2016, and Hindu villagers prevented Christians from carrying out his last rites and burying him, threatening to kill them if they tried to bury him. Eventually after police arrived, he was buried. But again, the villagers and Sarpanch warned that in future, they will call Bajrang Dal if there is any attempt by Christians in the village to use the burial grounds. They declared that they did not recognize the authority of police, tehsildar, SDM or anyone else. 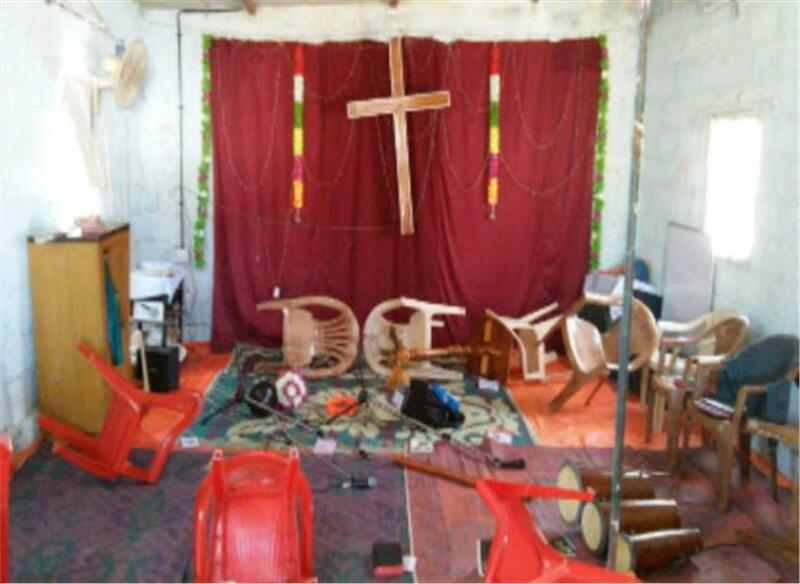 At Ara village, Bariyo Chowki, Jeypore thana, District Balrampur, on Sunday, 5 June 2016, a Bajrang Dal mob of 25 people led by Chhotu Jaiswal, Sonu Gupta, Bipin Gupta, Chhotu Gupta and others attacked the church during Sunday prayers. They vandalized the church; and beat up the pastor, his wife and three others. They made a video of the thrashing and made it go ‘viral’ (the AIPF team was shown the video). They dragged off the Pastor, his wife and three others (Jagat Das, Mahendra Kumar Shandilya, Rajesh Agariya) to the Bario Chowki where they were kept till night. The Pastor and his wife were illegally detailed for two and a half days (from 5 June till the evening of 7 June). On the first day, before the Pastor was produced before the Chief Judicial Magistrate, he was taken the police prosecutor, who sent police diary back to the police station, telling the police to change the sections under which the ‘chalaan’ was filed. On 7 June, the Pastor’s wife was released without filing any case against her. 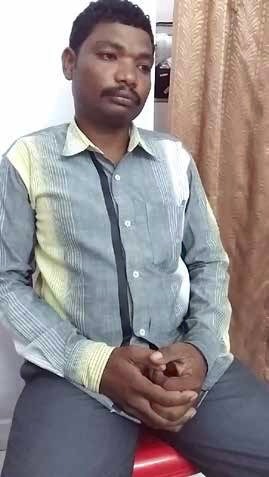 No FIR was registered against the assailants – instead a case under Section 295 A, Anti Conversion Act Section 4, as well as Section 502, 504 and 505 IPC has been registered against the Pastor who, till June 8, was yet to get bail. After securing NOC from the panchayat, we were constructing a community hall for Christians on our ancestral land. On 26 June 2015, I was summoned to a gram panchayat meeting to explain the construction. I told them I had the NOC and that I wanted to construct a community bhawan because Christians do not have a hall for social gatherings like marriages and so on. The panchayat leaders told me I was not allowed to construct the building. If the Governor and other authorities upheld my right to construct, they said they would call the Bajrang Dal to get me beaten up. I went ahead and constructed the building. They (Bajrang Dal) held a rally against Christians in July, pressurizing villagers to participate. That day my child was ill so my wife and I had taken him to the hospital in Jagdalpur. The Hindu villagers gheraoed the police station, and called the SDM who stopped the construction. In August 2015 I showed the Collector all the documents, and the Collector issued a letter of permission for the construction. On 8 September I resumed the construction work. On 9 September the gram sabha held a meeting in the name of drought relief, then mobilized villagers to the chowk. Some of them came on my land and told me to stop construction. I agreed to stop and talk to them. One Shailesh (alias Chhotu), son of Sabar Singh, lifted a shovel and threatened to kill me. I ran away to save my life. But two women – Ludri and Phulo Baghel – who were working on the construction, were badly beaten with bamboo sticks, and kicked and punched. They surrounded us and did not let us go out of the village. I called my wife who was away at Bastar and she informed the police. The local police were reluctant to come but did come eventually to our house. We also called an ambulance to take the women to the hospital. The TI tore up our FIR and wrote an FIR of their own naming just four of the assailants and protecting 8 others. Even those named surrendered in Court later and got bail – the police did not arrest them. Chowki in-charge, one Sonwani, even said he cannot send his men to protect us because ‘one community’ (the Christian population) is increasing too much. On 28 May 2016 we spent the whole day in Court but the defence did not cross question us. After my wife spoke up about the wasted day, the Judge scolded the defence lawyers for wasting time and making the women spend all day in Court doing nothing. In January 2012, construction was on to build a boundary wall for the Karkapal graveyard that has been in possession of Christians for more than a century. The wall had been sanctioned by the city Mayor. On 8 January, when the wall construction was nearly complete, I got a call to go to the Collectorate. I went there with two others with Pastors Jogendra Nayak and Rajesh Habil, and I was told that I was accused of encroachment of 16- 17 dismil of land. I said that I would show him our documents once our Secretary returned from Raipur, and if the measurement of the land proved that we have encroached on any land, we would certainly vacate the encroached part of the land. The Collector agreed that I could show him the documents a couple of days later. We then went home. After 15 minutes the patwari called me to the graveyard. There, I found the Mayor etc along with Bajrang Dal leaders Man Singh Parmar and Kailash Rathi and VHP leader Yogendra Kaushik. They had the JCB machine ready to demolish the wall. We pleaded that the encroachment should be proved first, and the demolition should not be done before measurement and verification of the documents, if the encroachment is proved, we ourselves will break down the wall. But Bajrang Dal leaders began breaking down the wall, raising slogans. As soon as they touched the wall, some 100 more Bajrang Dal men who had been waiting close by, came up to break down the wall. They kicked and danced on the graves, raising Jai Shri Ram slogans. The JCB machine was also used, and three graves were also flattened. The authorities present did nothing to stop the attackers. The police did not file our complaint till some 60 Pastors and hundreds of Christians gathered at the Bodhghat Police Station. It was past midnight by the time the FIR was registered. The attackers were released on bail from the police station itself the next day. On 10th January there was a rally and sit-in in Jagdalpur in which 10000 Christians participated. After that, the police booked 5 criminal cases (2 non-bailable and 3 bailable) booked against 12 of us for leading the rally and sit-in. In Court, the men we accused were all acquitted. One of the Christian eyewitnesses was intimidated into changing his statement. The police Investigative Officer did not depose at all in Court. In 2006, Christians (7 in all) of my village were beaten up by the Hindu villagers. In March 2016, the Hindu villagers made a ‘Sitlamandir’ and demanded Rs 500 as ‘chanda’ from each villager. We said that you have been boycotting our marriages and other social functions, so we won’t give you ‘chanda’. We said, if we give you chanda, give it to us in writing that you will attend our social functions, you will call us to your functions. These discussions happened over 2 meetings in 2 days. When my grandmother died, the Hindu villagers refused to attend the funeral. They did not attend several marriages. Next, they demanded Rs 1000 as ‘chanda’. We said we are willing as long as you give us an assurance in writing. Instigated by Anil Kumar Kemro, ration leader and son of a BJP leader, Hindu villagers declared a social boycott, claiming we have insulted their gods and goddesses. The tehsildar called me saying that there is a written complaint against you, I told him about Kemro. There are now 100 Christians in the village and we are under threat of violence. 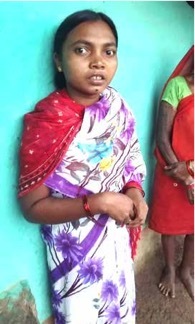 On 15 May, 2016, Bajrang Dal members who live in our village Manku, Sannu, Muda and Saibo beat up my sister Kumli Kowasi (age 18), accusing her of doing ‘jadu tona’ (witchcraft). My father Muda is no more, my mother Maso and my sister and I and our little brother are now in hiding. My sister was grinding rice at 5.30 pm in the back of the house when they came and beat her up. They kicked her in the stomach, pulled her hair and hit her on the head. She fell unconscious and they left her for dead. She had to be hospitalized for two weeks. We have been told by the ‘munshi’ (police) to remain in hiding for our own safety, so for the past month we have not been able to return home. We are living in the Church in another village (name of village withheld). AIPF team members met Kumli in the village where she is hiding. This young woman is very terrified. The team learned from her that the ‘munshi’ at the police station took money from her family and also advised them to stay away from their home. She said that she was beaten up for being Christian, and that those who beat her up are relatives of hers. The Bajrang Dal is instigating even family members to turn violent against their own kin for converting to Christianity. were called to collect our rations on 16 June 2014. We went (women, children and all family members) with bags, expecting to get 2 and a half months worth of rations. That day, there was the Monday Bazaar. The Food authorities came and sat at the ration shop at 2.30 pm and asked the ration dealer why they were not giving us rations. The ration dealer and sarpanch, secretary and other villagers were gathered at the panchayat bhawan – they had gathered there in preparation for violence. The panchayat secretary refused to go to meet the food authorities. We went back and forth. Eventually the ‘Sir’ and ‘Madam’ from the food authority themselves went to the panchayat bhawan and told the panchayat secretary they were supposed to go hous to house to ratify the ration cards. The secretary said, ‘Do what you like, I am willing to resign.’ When the villagers said, “We won’t give them rations because they did not pay ‘chanda’ for ‘devgudi’,” the food inspectors explained that “Government rations cannot be stopped because of a village matter like a festival.” Then the villagers erupted and picked up chairs to attack the food inspectors who ran away. Then they began beating up the Christians, injuring 8 men including myself and two women. I was beaten with sticks, fists and kicks. We somehow escaped and called the ambulance, but the villagers blocked the road and did not allow the ambulance to leave the village. After we called the Bastar DIG, the police came and took us to the health centre at Lohandiguda where were admitted for a week, and one Aytu, who had a broken arm, was referred to Maharani Hospital at Jagdalpur. On 17 May 2014, the gram sabha passed a resolution that non-Hindus cannot live in the village and so on. We got to know this through the papers, since we were in hospital. The police did not come to us to register an FIR, we were able to register an FIR only when we ourselves recovered enough to go to the police station and were assisted by Pastor Bhupendra Khora. There is a case against 12 Christians also, registered by the Bajrang Dal. The High Court meanwhile held the gram sabha resolution to be unconstitutional. On 19 October 2014, some 30-35 Bajrang Dal people entered the church, beat up Christians including women and children, and told them to become Hindu or else prepare to be killed. The victims called me for help, and I went with them to Jagdalpur and we gave a representation to the TI. The TI went to the village, and assured that he would hold a meeting and organize a compromise on October 25.
in a private hospital in Jagdalpur. 2 of our Christian people were sent to jail, and 5 Bajrang Dal people were also jailed. We went to Bastar Chowki to free the arrested people. Our representation was not accepted there till 5 pm, after which the tehsildar said Section 151 cases fall under the SDM’s jurisdiction. The SDM deliberately took leave. As a result the arrested Christians were in jail for three days before they got bail. After the case started, the Bajrang Dal people filed yet another FIR against us, declaring some of the victims as absconders. We were alerted by a lawyer and we got anticipatory bail. Christians were told they cannot use the water from the bore well, this is reserved for Hindus. On November 3, 2014, a meeting was called at the Collector’s office, attended by Bajrang Dal and Christian leaders. The Bajrang Dal demanded that the Christians do ‘ghar wapsi’ (reconvert to Hinduism). The Collector tried to reason with them but they claimed that ghar wapsi had the sanction of Section 129 C of the Gram Panchayat Act. An 8-member fact-finding team of All India People’s Forum visited four districts Chhattisgarh (Bastar, Dantewada, Sukma, Bijapur) between 8-11 June 2016. The AIPF team comprised former Madhya Pradesh MLA Dr Sunilam of Samajwadi Samagam, former Jharkhand MLA and CPIML Central Committee member Vinod Singh, Kavita Krishnan, Secretary of All India Progressive Women’s Association, Brijendra Tiwari of AICCTU, Amlan Bhatacharya, State Secretary of PUCL West Bengal, Advocate Aradhana Bhargava of Chhindwara, Advocate Ajoy Dutta of Kolkata and Amlendu Choudhury. The AIPF team is also grateful for the participation of Bastar-based researcher and activist Bela Bhatia and Dantewada-based activist Soni Sori who accompanied the team.